I know I probably say this all the time but, you guys, I love stamps. 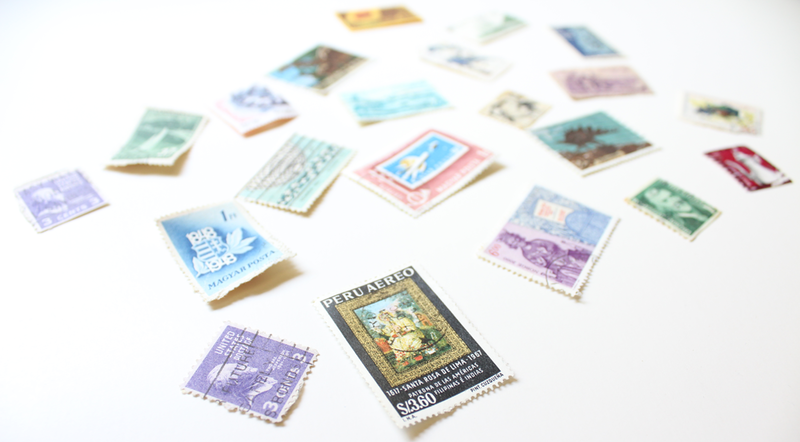 I received most of these cancelled stamps from various pen pals and before I could use them for anything, I had to take pictures of them. I almost love pictures of stamps more than the actual stamps. So dreamy, right? I’m not really into trying to salvage cancelled postage from the letters I’ve received. Mostly because I don’t like to rip up the beautiful envelopes I receive; the postage (cancelled or not) really pulls everything together in mail art! If it’s junk mail, I have no problem ripping it up but they don’t typically use actual postage on junk mail. 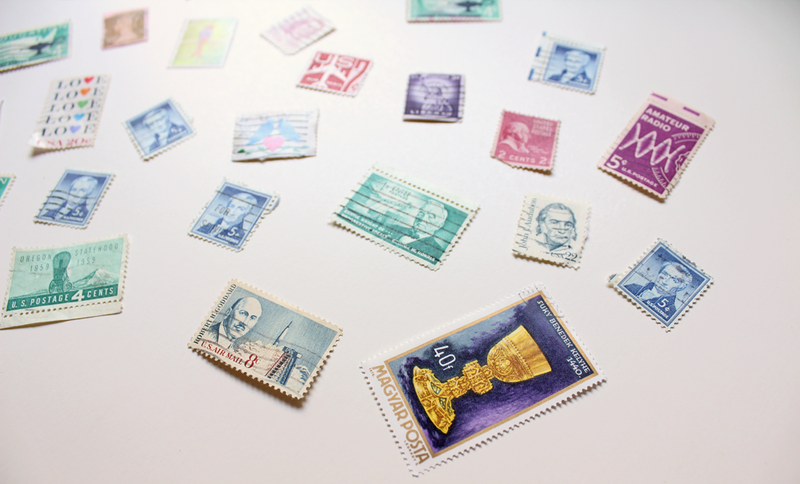 Of course, I love international postage (and vintage!). Although I’m quite fond of a lot of the new postage designs, you get kind of numb to the designs after awhile. That is especially true for those freakin’ postcard and other low-denominational USPS stamps. Thank goodness they are finally releasing some new designs for them! Anyway, I think I love the international and vintage postage so much more because I hardly ever come in contact with them. It’s like whenever the USPS releases a new stamp, I freak out and spend several minutes inspecting them. Very similar to what happens when I see international and vintage postage. To celebrate these wonderful stamps, I ended up turning them into stickers. You can check out the Etsy listing here!